Do you enjoy diverse responsibilities and receive personal satisfaction from helping others? Do you have an interest in health and medicine and the ability to multi-task? If so, consider a meaningful career as a Medical Assistant. Carnegie Institute offers specialized training in clinical nursing skills, proper use of diagnostic equipment, and competent performance of lab tests while developing a working knowledge of medical office management procedures. Instruction is provided in cultivating effective communication skills, human relations, critical thinking, and problem solving. The goal of our Medical Assistant program is to prepare competent entry-level medical assistants in the cognitive, psychomotor, and affective learning domains. 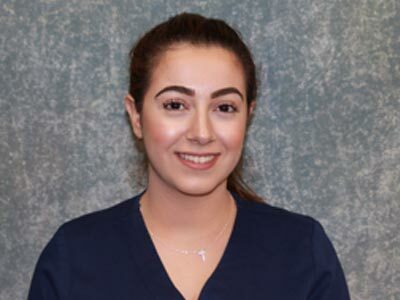 Once employed as a Medical Assistant, you will appreciate the distinct advantage your accredited Carnegie training provides as you apply your knowledge of medical terminology, anatomy & physiology, pharmacology, and medical law & ethics in the performance of nursing arts, venipuncture, injections, ECG, laboratory sciences, and medical office procedures. You will be well prepared to work in a wide range of responsible career entry positions within the health care delivery system, including doctors’ offices, medical clinics, and urgent care & outpatient facilities. Medical Assistants perform vital procedures related to patient care management and are instrumental in the daily operations of health care facilities. The American Association of Medical Assistants (AAMA) awards the Certified Medical Assistant (CMA) credential to those applicants who pass the national exam, indicating the Medical Assistant meets certain standards of competence. The U.S. Department of Labor, Bureau of Labor Statistics projects total employment for medical assistants to increase 34% by 2018. Your Carnegie training will open many doors to employment and provide meaningful opportunities for career advancement in the field of allied health. In accordance with CAAHEP, MAERB Standards, schools are required to publish outcome results for the Medical Assisting Program. The five-year weighted average for Career Placement and Retention of the Medical Assistant Program at Carnegie Institute, Troy, Michigan is 85.02% and 84.81% respectively, based on the most recent 2018 Annual Report Form submitted to the Medical Assisting Education Review Board (MAERB) and the Commission on Accreditation of Allied Health Education Programs (CAAHEP). The single year percentage for Retention from the penultimate year (2016 cohort) of the 2018 ARF is 92.86%. As a graduate of a CAAHEP* Accredited Medical Assistant Program, you will be eligible to take the CMA national certification exam through the AAMA** following completion of your training. * This program is accredited by the Commission on Accreditation of Allied Health Education Programs (CAAHEP), upon recommendation of the Medical Assisting Education Review Board (MAERB). Membership in the American Association of Medical Assistants (AAMA) is open to you as a student and as a graduate.